Allow you to use countless customizable alarms, stopwatches and reminders! 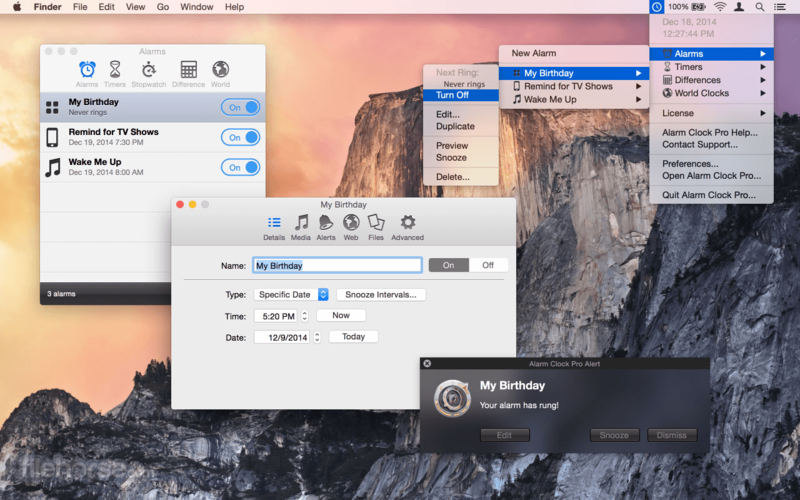 Alarm Clock Pro for Mac isn't just an ordinary alarm clock. Use it to wake you up in the morning, send and compose e-mails, remind you of appointments, randomize the iTunes selection, control an internet radio station, and even time your baking! Wake up to the serenity of your musical selection. Put to rest the goofy retro beeps and buzzing of a bedside alarm clock or cell phone. 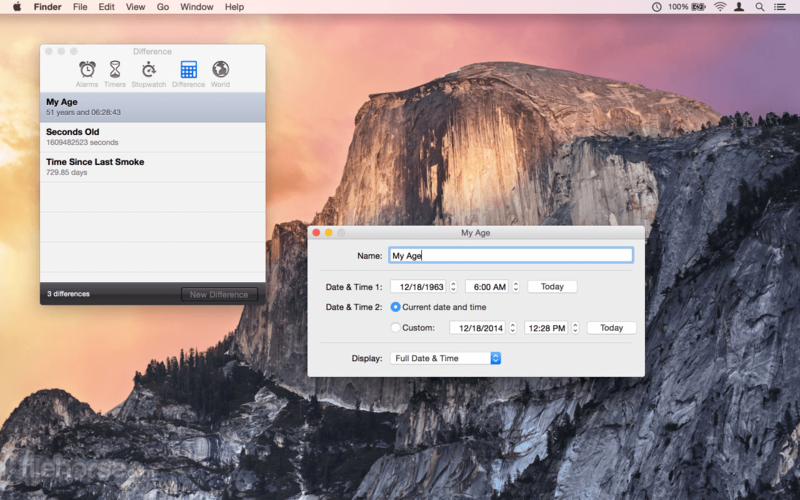 Use Alarm Clock Pro for Mac when waking up, as a reminder to take medications, or keep social appointments. At work, schedule follow up appointments with clients, set break reminders, run the office radio, set project timers, or discreetly monitor employee workspaces. 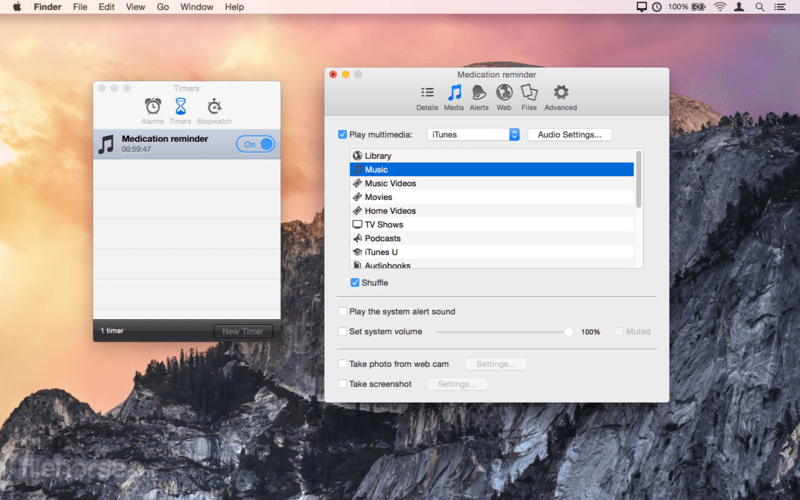 Connect directly with iTunes to play a specific playlist or the entire library! Shuffle or play songs in sequence. Select from one of numerous professionally designed custom ringtones, or import an alternative! Stream music live from a favourite web radio station for the freshest music selection every day! 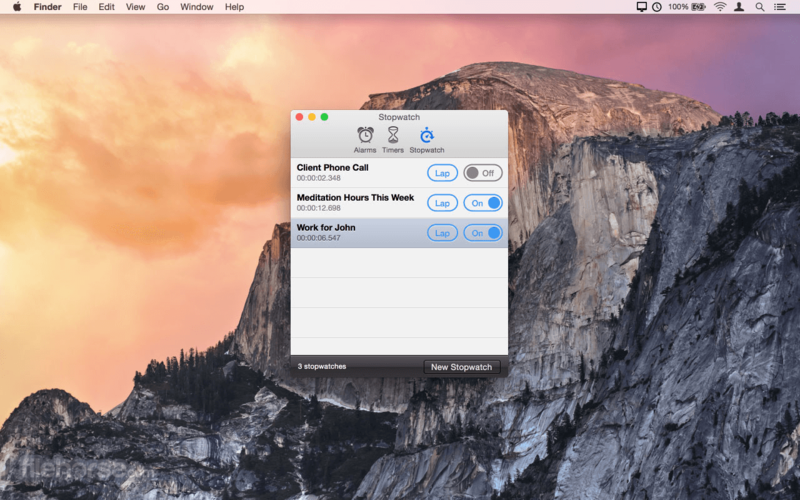 Display passive onscreen notifications that serve as great reminders! Kitchen-style timers as well as an unlimited number of stop watches. Never have to leave your computer on! 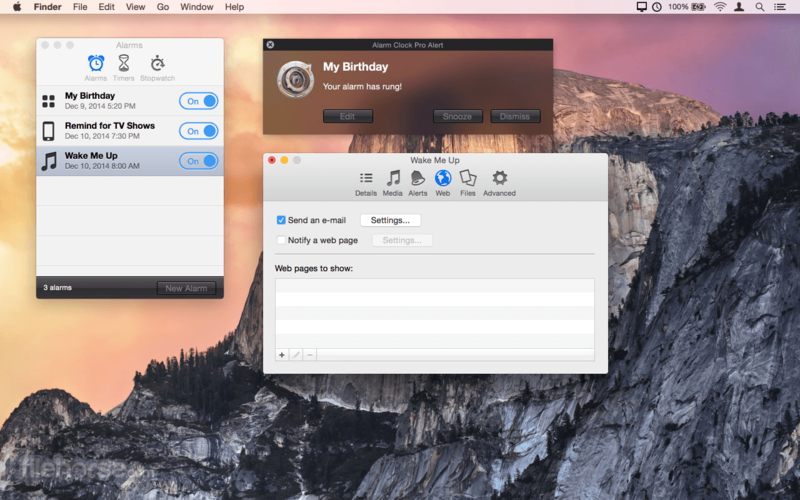 Automatically wakes your Mac from sleep or turns it on as needed.